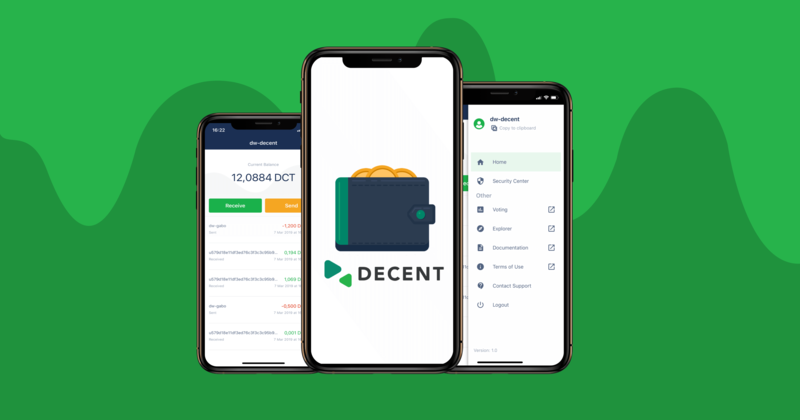 Geneva, Switzerland – March 27, 2019 – DECENT, the international blockchain company behind the DCore technology, today released the official DECENT Wallet for iOS devices to the public. The iOS wallet marks the third installment in DECENT’s wallet assortment, following the web as well as Android versions released last year. The application can be directly downloaded through the Apple App Store (depending on the availability in certain countries and regions). After the release of its Android counterpart, the hallmarks for the newly released iOS wallet include viewing, sending and receiving DCT tokens (DECENT’s crypto-asset) – all of which are underlined by the DCore blockchain’s fast speeds for near-instant transfers. “With our DECENT Wallet now available for iOS, we take yet another step towards global innovation with blockchain. iOS is such a dominant platform, having hundreds of millions of users around the world, and we are glad to have our wallet available in the Apple App Store, bringing enjoyable user experience to all Apple device users,” says Peter Matejík, Product Manager at DECENT. DECENT’s tech team is currently dedicated to adding new functionalities to the iOS wallet in the upcoming months, some of which will feature viewing account balance in USD, EUR and GBP, additional support for UIAs (User Issued Assets), transfers via QR codes and more. DECENT also plans on integrating more upgrades and enhancements to its other wallet products, in the very near future. All upcoming news will be announced through DECENT’s official channels.